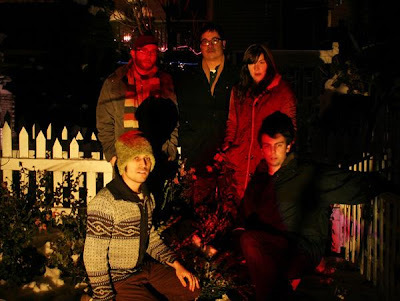 Less than five months after the release of their brilliant second album, A Kaleidoscope of Egos (previously reviewed on this site), Chicago psychedelic indie popsters May Or May Not have already begun making brand new material available for free download via their MySpace site. So far the band has posted two new tracks - Be My Tree and Tender Engine. Be My Tree is only the third May Or May Not recording to feature lead vocals by keyboardist Amelia Styer. The lengthy track is a wintry epic that further explores the band's psychedelic side. Tender Engine is peppier, but also has an introspective, cold-weather vibe. Thanks to the band for putting out some tunes so soon after their latest LP release. What better way to make this long, harsh Chicago winter more tolerable than new music from May Or May Not? And what better way to welcome spring than a May Or May Not live show? The band is playing at Hideout on March 22 with The Swimmers.